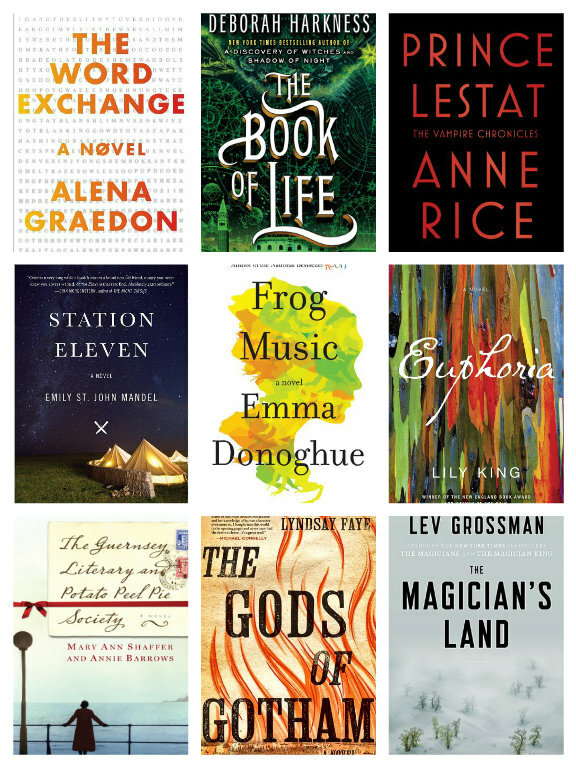 As the new year dawns, it seemed like the perfect time to share my favorite books of 2014. Though I read roughly the same number of books in 2014 as 2013 , 94 to last year’s 90, I read the largest number of pages yet! Over the month of January I will share my favorite books across four categories: short stories, fiction, memoirs & real history and young adult fiction. Today I am talking about fiction. My love for Emma Donoghue is well documented and this year’s new novel is no different. Frog Music weaves together the historical events of 1870s San Francisco with the incredible life (and death) of Jenny Bonnet. If you love language as much as I do, you’ll love Alena Graedon’s The Word Exchange. Set in the not-to-distant future where people rely on their phones (memes) for all communication, Graedon imagines a world where this reliance causes a troubling loss of language. More compelling than Divergent and more intellectually stimulating than The Hunger Games, Graedon’s book serves as a modern-day 1984. Unlike the future in Graedon’s book, Mandel’s imagining of the future lacks the technology we’ve grown to rely upon. Centering on the world just after a catastrophic flu virus spreads, Mandel is able to show the destruction and rebuilding that must take place. See my full review for a more in depth look. Part travelogue, part adventure story, King’s Euphoria is wholly unlike anything else I read in 2014. Euphoria tells the story of Nell Stone, a gifted anthropologist who marries the mercurial Fen after meeting him at an anthropology lecture. The two venture into forbidden New Guinea to study the tribes there. Along the way, we get a glimpse into their marriage, their work habits, and the power of humanity.